Choosing the correct mattress size doesn’t require much. In many cases, you only have to go with the size of bed that you have, but did you know that the right bed/mattress size plays a huge part in your sleep quality? If you find yourself feeling ill-rested and un-refreshed after a full 8 hours of sleep or more, then you might have outgrown the comfort that your smaller bed can offer. Upgrading to a bigger mattress size is probably the way to go. The length of your mattress should be 6 inches longer (at the minimum) than your height or the height of the tallest person using the bed. The mattress should be wide enough to support a comfortable distance from the bed’s edge. This applies to both single and multiple-person sleepers. When buying for a growing kid, consider height allowance. There is no strict rule when it comes to choosing a mattress or bed size, but if you want to create the optimal sleep environment, choose a bed that is large enough to accommodate a restful sleep. 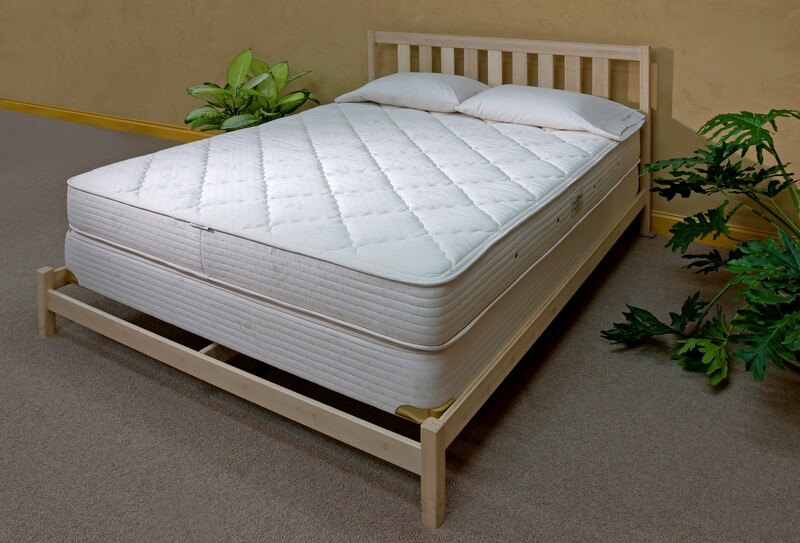 Other things you should consider when buying an organic mattress include the mattress thickness, its firmness, as well as its design, especially if you are not a fan of springs. In todays market a lot of people are moving up from Queen mattresses to Kings because there is more width in a king. 16 more inches wide to be exact. This means there will be even less transference of motion at nite, which means a much better sleep for both people. Imagine not having to feel the other person getting up in the middle of the nite at all. There is a small and I do mean very small group of people who still prefer the feel of a King innerspring mattress. They like the movement, and its something they grew up on, so some things never change.